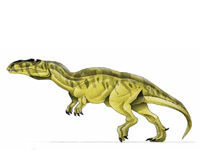 A medium-sized theropod in the family Metriacanthosauridae, this species has a binomial name meaning “Parker’s moderately-spined reptile” in reference to the animal’s distinctively tall vertebrae. The specific epithet honors W. Parker, who originally collected the first fossils of this species. It lived approximately 160 million years ago, in the upper Jurassic period, in what is now England. It was described in 1923 in Dorset, England by German paleontologist Friedrich von Huene, who originally classified it as a species of Megalosaurus. He reviewed the few known remains, which consisted of part of a hip, a leg bone, and some vertebrae, as material for a paper about carnivorous dinosaurs from Europe. The fossils had been collected from near Jordan’s Cliff, in the upper Oxford Clay Formation near Weymouth. In 1932, von Huene determined that the fossils instead belonged to a species of Altispinax. In 1964, Alick Walker revised the fossils and found that the fossil backbone was not tall enough to belong to Altispinax. 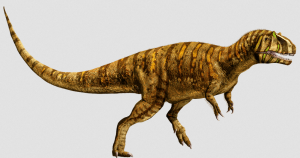 He assigned it to a new genus, Metriacanthosaurus, because the bones of its spine were shorter than those of theropods like Acrocanthosaurus but taller than those of most carnosaurs such as Allosaurus. In 1988, Gregory S. Paul considered the closely-related genus Yangchuanosaurus to be a species of Metriacanthosaurus; however, this was contested in 2007 by Darren Naish and David Martill, who determined that the two genera should be separate. Its genetic material was collected by International Genetic Technologies during the late 1980s and early 1990s, and as of 1993 its genome was reported at 71% completion. InGen had, at that time, created up to Version 1.02 of the animal, but did not have any living specimens on hand by the time of the 1993 incident. Over a decade later, it would be cloned by InGen under the banner of Masrani Global Corporation, but would become extinct by early 2018. Fossils of Metriacanthosaurus are rare and fragmentary, so estimates of its size and appearance are based on its close relatives. Its femur measures 80 centimeters (31 inches) in length, and its size has been estimated at 10.5 meters (34.4 feet) long, 2 meters (7 feet) tall at the hips, and one metric ton (1.1 US short tons) in weight. Specimens cloned by InGen during the twenty-first century attained lengths of 7.9 meters (26 feet), heights of 3.35 meters (11 feet), and weighed up to 0.91 metric tons (1 US short ton). This made it slightly smaller and lighter than some paleontological estimates. It had a fairly typical medium-sized theropod build, with a bulky head containing sharp, serrated teeth. Like most theropods, these teeth would be replaced throughout life as they fell out. Over the eyes it possessed small triangular crests, which likely serve display purposes and may be used for species recognition. The jaws were shorter and blunter than some other theropods, giving it a distinct profile. Its arms were rather small, and the three fingers each bore an average-sized claw. The legs, meanwhile, were considerably more powerful, allowing it to reach reasonable speeds. Its feet bore four toes each, the innermost of which was a reduced dewclaw which did not touch the ground. The remaining three toes possessed small but thick talons. Profile illustration of an adult Metriacanthosaurus. Note the very fine, short feather-like filaments which can be seen upon close observation of the body’s outline. Over its body, particularly on the head and arms, Metriacanthosaurus had a thin, fine coat of simple feather quills. While not true feathers, this integument is unusual among InGen’s animals, most of which have bare scaly or leathery skin due to null alleles created by accident during the reconstruction of their genomes. This suggests that InGen manipulated the Metriacanthosaurus genome less than most other animals, as it does not have the null allele related to feather development. It is among the more colorful theropods, particularly on the face. Most of its body is a woody tan color, but it is striped in light orange and muddy brown; these likely help it camouflage in forested environments similarly to a modern-day tiger. Its head lacks the orange color, bearing brown stripes; the stripe at the top of the neck has a dull yellow interior where its body stripes would have orange, and the third, fourth, and fifth stripes on the skull have lime green interiors. The first such stripe has this color mostly on the lower jaw, and the second green stripe includes the supraorbital crests. Only the adult stage has been observed in this species. No information is known about sexual dimorphism in Metriacanthosaurus. However, female animals can be created in the game Jurassic World: Evolution, and they more or less resemble the illustrations on the Jurassic World website. Metriacanthosaurus prefer to hunt in dense forested environments. However, the Jurassic World website states that it lives comfortably on plains. In Jurassic World: Evolution, their ideal habitat includes 15,400 square meters of grassland and 7,300 square meters of forest. On the board in the upper left are x-rays of what are believed to be Apatosaurus and Metriacanthosaurus, neither of which are listed in 1993 InGen documentation as having been alive at the time. By the summer of 1993, InGen had Version 1.02 Metriacanthosaurus embryos incubating in Isla Nublar‘s laboratory; the genome was 71% complete at the time. An x-ray of a Metriacanthosaurus skull present in Dr. Laura Sorkin‘s laboratory has been suggested as evidence that the animal had been cloned at some point, but official InGen documentation demonstrates otherwise; this x-ray was more likely taken from a fossil or replica skull. A paddock for Metriacanthosaurus was being prepared as of 1993, despite the animal not yet having any viable specimens. The paddock, which was already advertised on the Jurassic Park brochure map found in the Ford Explorer tour vehicles, would have been in the northeastern region of the Park on the coastal side of the eastern mountain range. To the northeast it would have bordered the paddock area’s perimeter fence, and to the northwest and south it would have been separated from undeveloped areas by a twenty-four-foot fence. To the west, the main tour road and a set of five-foot-high electric fences would have separated it from the primary Triceratops paddock. 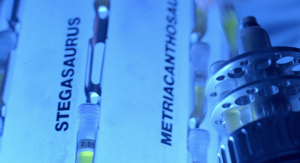 Under the banner of Masrani Global Corporation, InGen completed the Metriacanthosaurus genome and cloned the animal sometime before 2014. They inhabited the Jungle River area, most likely separated by means of artificial barriers from the other dinosaurs in their habitat. It is not known how many Metriacanthosaurus lived on Isla Nublar, but their highly aggressive behavior would suggest that their population was fairly low. Although the date at which they were cloned is not known other than they existed by 2014, the manner in which they were portrayed on the Jurassic World website implies that they were a fairly new addition. The website features an illustration rather than a three-dimensional render of the animal, which inside sources have described as the artist’s rendition of what the animals would have looked like. This suggests that, at the time the website was developed, none of the Metriacanthosaurus had yet reached adulthood. Following the island’s abandonment due to the 2015 incident, Metriacanthosaurus continued to live in the forested regions of Isla Nublar where it hunted smaller dinosaurs. As of February 4, 2018, it was stated by the Dinosaur Protection Group to have become extinct; according to a June 5 report, this species was the most recent carnivore to die out on Isla Nublar. Likely reasons for its decline and extinction include intense competition for resources with other carnivores, and the loss of common prey items due to volcanic activity and heavy predation. 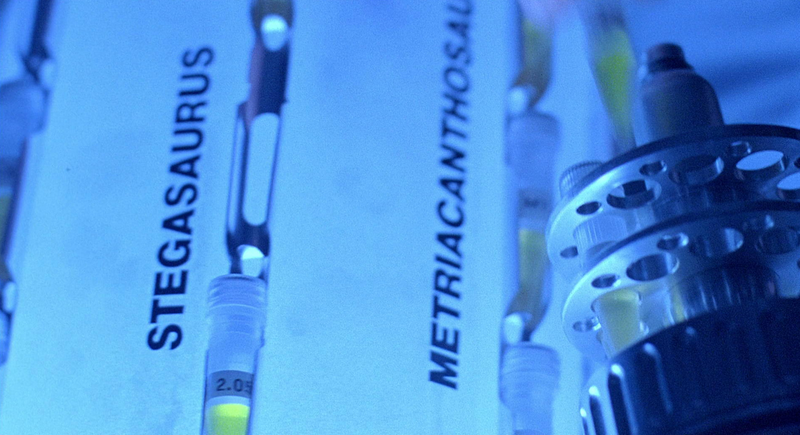 While InGen would have performed cloning experiments and genetic reconstruction of Metriacanthosaurus on Isla Sorna, there is no evidence that any specimens were cloned there. InGen documentation lists it as having a viability rate of 71%, but none were alive at the time that the island was abandoned. 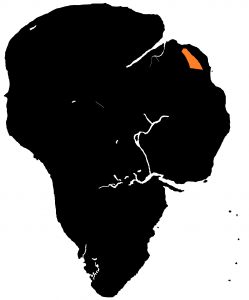 Poaching occurred in both the Muertes Archipelago and the area near Isla Nublar beginning in 1997 and continuing well into the early twenty-first century. It reached a peak around 2013, after which surveillance was increased around the islands. There is currently no evidence to confirm whether any Metriacanthosaurus were poached from Isla Nublar while Jurassic World was open, or that any were poached after the park closed and before the animal became extinct on the island. Metriacanthosaurus, unknown date between 2015 and very early Feb. 2018. Isla Nublar. Image from the Dinosaur Protection Group. An unused image for the Dinosaur Protection Group shows an adult Metriacanthosaurus active during the morning or daytime, but its normal activity patterns are unknown. 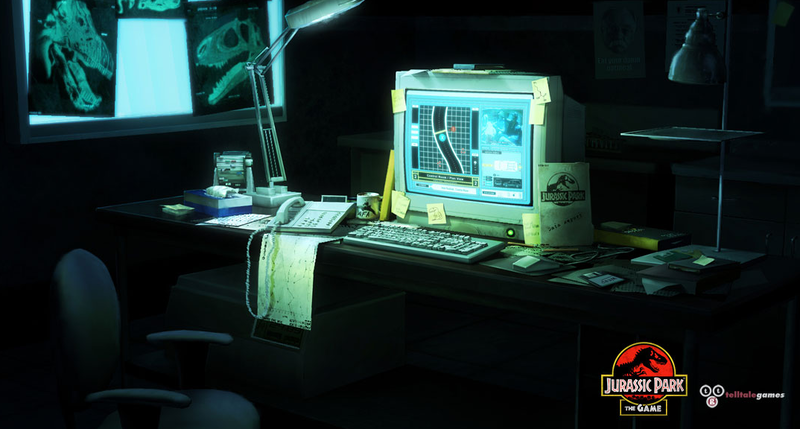 In the mobile game Jurassic World: The Game, the Metriacanthosaurus will be active for five-hour intervals. As a medium-sized carnivore, Metriacanthosaurus preyed on dinosaurs smaller than itself. It hunts in densely forested regions, suggesting that it attacks prey by ambush similarly to the much larger Tyrannosaurus. However, it also had strong legs which would have enabled it to pursue prey if necessary. Like other theropods, its jaws are most likely its main hunting implements. Small herbivores, such as Stygimoloch and Pachycephalosaurus, likely made up much of its diet; it could theoretically have preyed on non-dinosaurian animals such as the common Nublar tufted deer, or scavenged scraps left behind by larger, more powerful carnivores. The social life of Metriacanthosaurus has never been studied in-depth, so details are scarce. They were known to be highly aggressive, but the bright colors of the supraorbital crests suggest that they were used for social interaction. In the game Jurassic World: Evolution, a Metriacanthosaurus will generally be a solitary animal, but may be safely kept in pairs. Population sizes any larger than this will lead to infighting. As with all dinosaurs, the Metriacanthosaurus would lay eggs to reproduce; presumably, the bright colors of the crests would play a role in mate selection, but anything else is entirely speculative. Its reproductive anatomy is unknown, but other theropods are portrayed with cloacae in Jurassic Park: The Game. In Jurassic World: Evolution, vocalizations made by the Metriacanthosaurus include low-pitched growls and roars. The purpose of these appears to be territorial in nature, as it is not an extremely social animal. Little is known about the ecology of Metriacanthosaurus, though in life it would have lived in coastal regions. After being cloned by InGen, it was housed near a river within a forested area. In order for InGen to have cloned it in the first place, it would have been host to hematophagous animals such as female mosquitoes; it is not known if any modern parasites affect it in the same way. It still preferred forested regions after being abandoned by Masrani Global Corporation. If they remained near the Jungle River, their neighbors would have included the fish-eating Baryonyx and Suchomimus, with which it may have competed for territory. Herbivores in this area included the sauropod Apatosaurus, the stegosaur Stegosaurus, the hadrosaur Parasaurolophus, and the tiny ceratopsian Microceratus, as well as around a hundred other species of de-extinct animals and plants as well as modern flora and fauna. It may have preyed upon the smallest of these species as well as the young of larger animals. In general, Metriacanthosaurus is a mid-level predator; it was larger than Velociraptor or Deinonychus, but smaller than apex predators like Tyrannosaurus. It is close in size to Allosaurus and Carnotaurus, but is not as capable of taking down large prey. These traits likely made it a poor competitor in the wild on Isla Nublar, potentially leading to its extinction. In Jurassic World: Evolution, it is particularly susceptible to infections of parasitic hookworms. This was one of the more poorly-studied dinosaurs. Despite completing 71% of its genome by 1993, it was not successfully cloned by InGen in time to be introduced to Isla Nublar; if successful, it would have been exhibited on the main tour road. It was eventually cloned and exhibited on the Cretaceous Cruise, a kayaking attraction on the Jungle River. 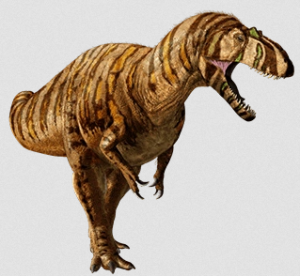 No human-Metriacanthosaurus interactions have been recorded, but it is known to be highly aggressive. It is likely that, were any interactions permitted, a Metriacanthosaurus might view a human as potential prey or competition. Jurassic World: Evolution portrays the Metriacanthosaurus as willing to attack and eat humans if it is given the chance; dialogue in the game also suggests that, despite it being three years after Jurassic World closed, very little is known about the Metriacanthosaurus. This implies that it has been scientifically neglected after being cloned prior to 2014. Vertebrate paleontologist Thomas R. Holtz, Jr. suggested in the late 1990s that the Metriacanthosaurus embryo portrayed in Jurassic Park was intended to be a Yangchuanosaurus, due to the fact that at the time Yangchuanosaurus was considered a species of Metriacanthosaurus and was featured on the cover of Gregory S. Paul’s Predatory Dinosaurs of the World. This book was used as reference material by both Michael Crichton and Steven Spielberg during development of the novel and film. Not all paleontologists ever agreed with this classification, though, and it was formally refuted in 2007. On page 95 of the Jurassic Park Institute Dinosaur Field Guide, the possibility of InGen’s Metriacanthosaurus being, in fact, Yangchuanosaurus shangyouensis is discussed. The book does acknowledge that the species might be M. parkeri, but the idea of it being “Metriacanthosaurus” shangyouensis sensu Paul remained very popular among fans and paleontologists. This was eventually disproven in 2014, when the Jurassic World website featured Metriacanthosaurus and explicitly described it as hailing from the Jurassic of England, rather than from the Jurassic of China. As of such, the species cloned by InGen is known to be Metriacanthosaurus parkeri.